This is a long post but please read it. Due to some fantastic circumstances we finally found out what NPA and Contest Promotions are up to. A while back I entered one of the Contest Promotions sweepstakes at The Deli. 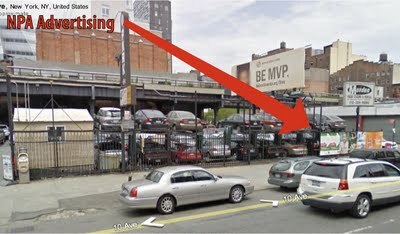 Yesterday I received the above package from 28-20 Borden Avenue in Long Island City. Oddly Contest Promotions is right down the block from Clear Chanel taxi media, and on the same property as Spring Scaffolding and Skyline Scaffolding. I only bring this up because we all know Contest Promotions is a front to make NPA City Outdoor legal and we also know NPA holds many contracts with scaffolding companies which allow illegal Wildposting on their construction sheds in return for small amounts of cash. I'm not saying this is the case with these two companies, I'm just saying they occupy the same building. 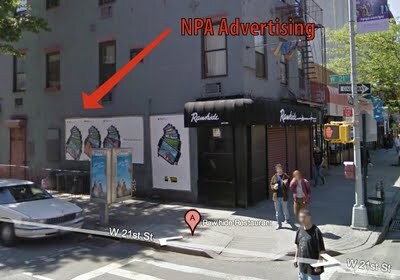 On a side note, if you want to send the leasing agents at NPA copies of the $25,000.00 violations you received from the DOB for having their illegal advertising signage on your property, the address is 49 west 23rd st. 8th floor, NY NY 10010. 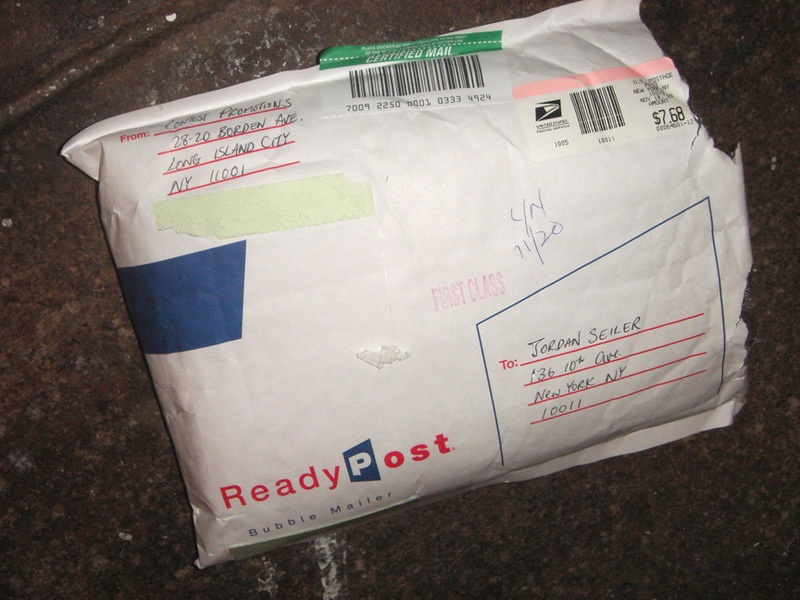 Oddly you can address the package to Contest Promotions, NPA City Outdoor, or National Promotions with the same result. 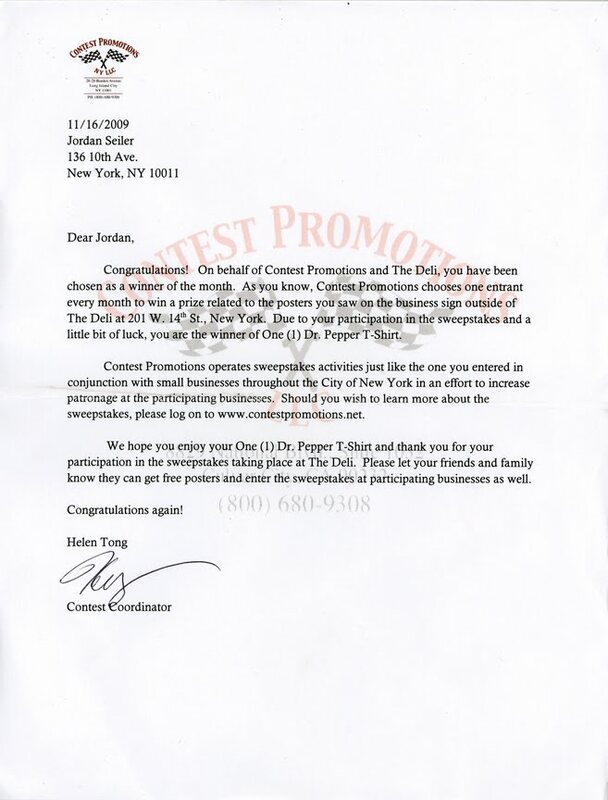 "Contest Promotions operates sweepstakes activities just like the one you entered in conjunction with small businesses throughout the city of New York in an effort to increase patronage at the participating businesses. 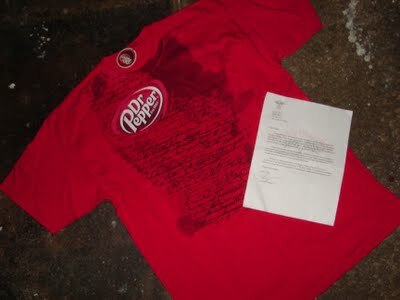 Should you wish to learn more about the sweepstakes, please log on to www.contestpromotions.net." This struck me as a strange way to talk about a business whose single purpose was to legitimate the illegal advertising business run by NPA. I quickly logged on to their website only to find more of this heavy handed altruism. By 'Mom and Pop's,' we mean all the small, potentially family-owned retailers across the countries who have found themselves in the challenging position of competing against well-funded national chain stores. In today's competitive marketplace, these Mom and Pop retailers need to find ways to increase foot traffic and bolster sales to prevent themselves from being squeezed out of their own backyards. It's a basic issue of retail survival. That's where Contest Promotions fits beautifully into their business strategies"
The complete fabrication of the motivations behind the Contest Promotions business leads me into a few questions I think will debunk the assertions that this is a legitimate business looking out for the greater good, and give credence to our belief that they are actually aiding NPA City Outdoor in their illegal advertising business. What is Contest Promotions' revenue stream? According to The Deli, they pay $50.00 to put their raffle box on the deli counter. They also spend money collecting the tickets, processing and mailing the prizes. The only place I can see revenue coming into this business is through companies like Dr. Pepper paying to have their products used as promotions. Otherwise it would seem they have no revenue at all which would lead me to believe they are actually NPA or at least sponsored by NPA. What kinds of businesses are actually using Contest Promotions sweepstakes materials? 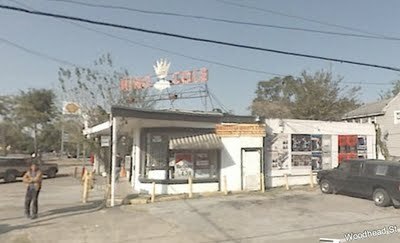 In my neighborhood, along with delis and "Mom and Pop" stores, there is MTP or Central Parking and Rawhide. The first is definitely not a "Mom & Pop" establishment, having hundreds of parking locations around the city, and the later is an old Chelsea icon catering to the leather bound gay scene. When I went to both places, neither knew what I was talking about when I told them I wanted to enter the sweepstakes. Yet both have huge NPA City Outdoor illegal advertising billboards outside. 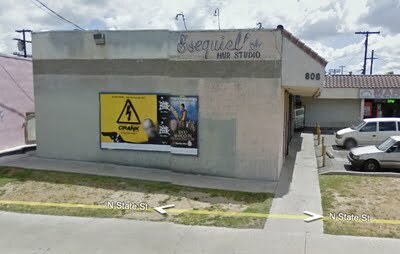 Esequiel's Hair Salon - 808 N. State St. Los Angeles, California. 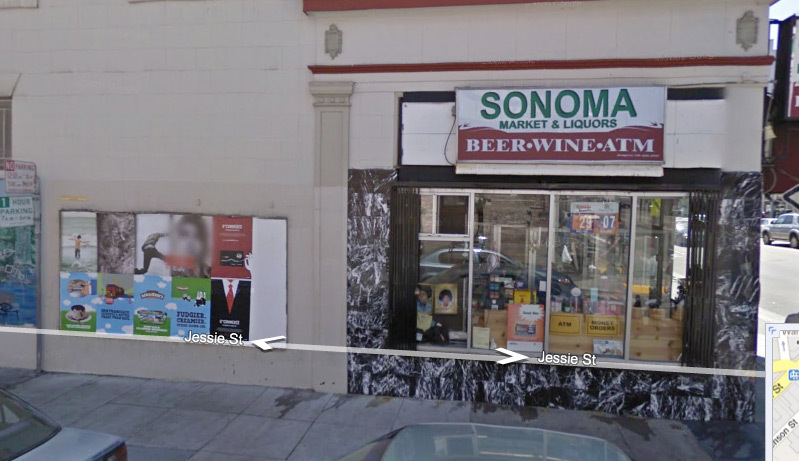 Sonoma Liquor Company - 65 6th St. San Francisco, California. 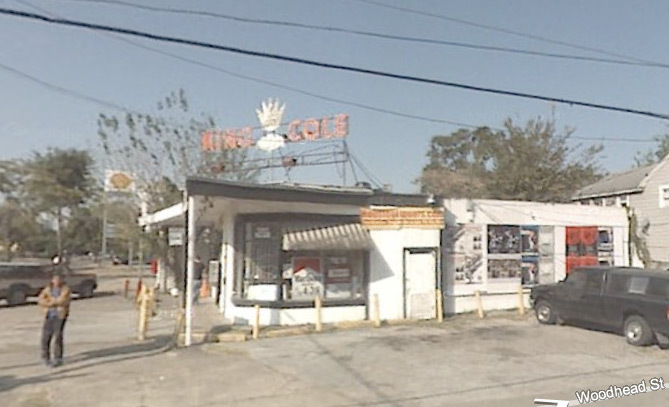 King Cole Liquor - 1802 Richmond Ave. Houston, Texas. So if the connection between these two companies is clear, how does the addition of Contest Promotions to the equation make the illegal NPA advertisements legal? For a while we thought this was simply an attempt to turn NPA advertising signs into what are referred to as first party signage on the understanding that these ad images were being used to promote the products to be won inside in the same way a shoe in a shoe store window would suggest shoes are available for purchase at this establishment. This is not entirely the case. 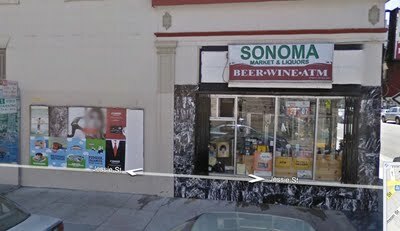 It seems that Contest Promotions is applying for accessory business sign permits from the DOB. You can see the two applications at 98 Avenue A that were denied, here, and here. This is a slightly different case than simply trying to call these legal first party signs and in my non-expert opinion here is why they are doing this. Once NPA locations are permitted as accessory business signs, they fall under a different category than advertising signage which is policed more rigorously. The main difference between the two types of signs and how they are policed is between the fines that can be given by the DOB sign enforcement unit. For an illegal advertising sign, the fine can be $25,000.00. For improper use of an accessory business sign, the fine is on par with a traffic ticket. If the local business is caught improperly using an accessory business sign for advertising, NPA can handle paying these tickets since they charge about $5,000.00 - $6,000.00 a month per location and pay local landlords about $120.00 per month. The last thing we learned and maybe the most interesting is that from the landlords I've talked to, they have no idea that any of this is going on. In fact Contest Promotions is applying for accessory business signs without the landlords or business owners even knowing about it. 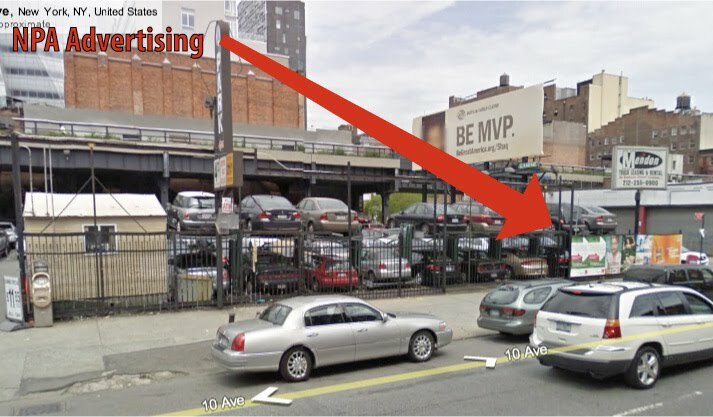 And the worst part about this deplorable behavior is all being done to bypass the laws we have put in place as a city concerned about the over proliferation of outdoor advertising. On top of this it is being done under the guise of a company that pretends it is helping the city by promoting local businesses. Ask East Village Farms, the business located at 98 Avenue A, which has 10 $25,000.00 fines pending due to illegal signage operated by NPA and Contest Promotions, if they feel like the whole scheme is helping them out. I'm not exactly sure what the next course of action is at this point but it would seem outrage is an appropriate response. As we find this to be one of our more interesting posts in a while, please feel free to leave your comments for NPA and Contest Promotions.